With so many people looking for jobs, the slightest edge in your resume presentation has potential to make or break your chances. But not all filetypes or methods are created equal—read on to see the potential pitfalls your resume faces. In this article, we’ll explore what can go wrong in a resume submission, what can be done to counteract it, and also go into why a prospective employer might ignore your resume based on your method of sending a resume. Finally, we’ll cover the best filetypes and methods that can help get you that new job you’ve been looking for. 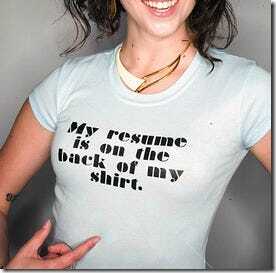 What Sets Your Resume Apart? Maybe your filetype doesn’t open. It could be you didn’t use a common font, and causing fonts to default, making your resume look weird. Perhaps you didn’t read the ad as closely as you thought and didn’t follow the directions, or spelled the company name wrong. When you have to sort through hundreds of resumes to find a single person, any small thing could cast you into the bowels of file thirteen. On the other hand, the majority of resumes submitted fall into this category. Many job seekers simply send resumes blindly, hoping that the position is so poorly advertised that the employer might “give them a chance.” What can you do to stand apart from the dross and land that new job? If you can set yourself apart in positive ways, as opposed to negative ones, you’ll give yourself the best chance to get the job. When a company posts an ad for a position, they’re probably doing it with a specific kind of person in mind. From the outside, this might seem completely random, but from the employer’s point of view, it makes perfect sense. Your aim is to be as close to this person as you can. Is it entry level? Is it an experienced position? Does it require a degree? Does it require skills you have? Is your work experience relevant? If you are under or even over qualified, you’re probably not going to get that callback. In this age of recession, many employees and the management that hire are stretched further than ever. With that said, looking through 300 resumes is no thrilling task for a busy professional with dozens of other deadlines looming. It can generally be assumed that if they weren’t already incredibly busy, they wouldn’t be advertising for more help. With that in mind, here’s a list of things to keep in mind when writing your resume. Be specific. List your education and the skills and duties of your previous jobs. Be brief. If the employer is looking over 300 resumes a day, she’ll likely ignore it if it is too long. Terms like “self-motivated” or “hard worker” or “responsible” don’t convince employers of anything. Beyond that, there are basic formatting etiquettes that will keep you from looking foolish when your reviewer opens your file to find your formatting ruined by defaulting fonts and bizarre filetype issues. Here’s a list of the filetypes that can give you trouble when sending resumes. DOCX is an XML based version of the Microsoft Word document format we’ve all used for years and years. Only more current versions of Microsoft word (or OpenOffice, etc.) can open DOCX. This means that some businesses that don’t upgrade their office software regularly will not be able to open your resume. Some employers are prepared, while many others aren’t. DOCX, like many word formats doesn’t embed fonts into your file, so any formatting you’ve done requiring specific fonts will be lost. Use generic fonts, like Arial, Times New Roman, Georgia, Tahoma, etc. While Openoffice wants to provide an open standard filetype, the fact is that until ODT is supported by Microsoft Word out of the box, many businesses will not be able to open an ODT file. The general rule of thumb is that if it takes extra effort to open your resume, you’re already in the garbage. So unless you’re applying for a job at Sun Microsystems or Oracle, you’re probably better off not using ODT. So much for open standards! Edit: HTG author Matthew Guay has pointed out that Office 2010 finally does support ODT out of the box. However, this doesn’t change the fact that ODT is not yet universal enough to be safely used. While JPG and image based resumes might seem like good solutions to defaulting fonts or hard-to open file formats like ODT or DOCX, it can be slightly jarring to get a resume as an image file. JPGs created with basic software might be low resolution, and high-resolution print-friendly images might appear huge and unusable for a potentially computer illiterate resume reviewer. JPG images are also not ideal if you plan to ever re-use or update your information. While there is nothing wrong with sending a text file, it is a somewhat odd and spartan choice. Many employers will be expecting a certain level care, attention and formatting to be taken to their own documents. A TXT file may make more of a statement about you than you care to be making with your filetype choice. Many big companies block a lot of websites, so while sending a nicely formatted webpage with your online business card might seem like a good idea, there is always the chance that it might be more trouble than it is worth to view your information. This includes HTML formatted mail, with images, stationary, etc, all of which may not work with anyone else’s email clients. While you may feel like it is a good way to stand out, be careful when you reduce your experience and knowledge to a simple gimmick. It may make you stand out—but it could also make you look unprofessional or foolish. Keep in mind where you’re applying to before planning any sort of strange gimmick to present your resume. PDF is now a standard filetype, and Acrobat reader is free software that comes on every new computer from most major computer companies that cater to business. While some limited number of machines may not have Acrobat, many modern browsers have the capability of opening PDFs without issue. Fonts are also embedded into PDF, so any formatting you’ve done to make your resume look nice should carry through to your prospective employer. Open Office can export to PDF, as can Adobe Illustrator. And CutePDF writer (download from Ninite) can create a virtual printer that will create PDFs of any document you choose to “print” to it. Edit: There’s been some good discussion about PDF as an option for resumes, and more than one commenter has made a very valid comment that non-text based PDFs can’t be read by automated systems. You may be safer off using DOC, RTF, or TXT files if you’re planning on applying to staffing firms or corporations with large HR departments to manage. While DOCX can be dangerous, you can safely assume nearly any business would need to open a DOC file at some point. As long as your resume is largely text-based and formatted in common fonts, you can expect what you see on your screen to be seen when your resume is reviewed. Open Office and Microsoft word can save any text file as a DOC File. Rich text is a basic file format that includes some basic formatting information, as well as text only info a TXT file has. Windows, Macintosh, and Linux PCs should have no trouble opening an RTF file, although as noted before, take care to use common fonts in order to avoid font defaulting. Plain text email is one of the only ways to ensure that what you type ends up in the hands of the prospective employer without any sort of issues with formatting. Keep in mind, what you say is far more important than being able to use boldfaces or graphics, so a well-written cover letter and text-only resume in an email can prove more useful than all the bells and whistles of HTML mail. In the age of job seekers sending thousands of resumes off blindly, the initiative of going to a business to drop off a printed copy of your resume and introducing yourself can make a huge difference in your chances. Not only do you stand out as an applicant that takes the time and effort to show up in person, you’re also ensuring that your resume looks the way you want it to, and that it gets put in the hands you want it in, the way you want it to look. In short, no single way is really going to guarantee you a job, or even a callback. But minimizing potential problems and attempting to stand out from the dross can give you the best chances of being that specific person that employer is looking for. Keep wary of font defaults and formatting problems, and keep sending out those resumes. Image Credits: T-Shirt Resume by SOCIALisBETTER. Portfolio Mailer by scottkellum. I hate Job Applications by isabisa. Businessmen by Voxphoto. 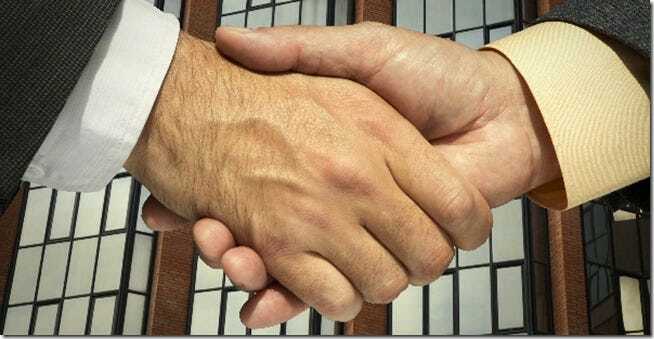 Two Businessmen Shaking Hands by MyTudut. Busy Man by JanneM. Danger by chego101. Warning! Sudden Drop! by drinksmachine. Employee of the Month by The Eggplant. Resume Design by CharlotWest. All images are protected under Creative Commons.